Instant Cash Pickup or Account Deposit in any bank account. Make payment to an individual or business payment we do it all. Effortless money transfer service to Pakistan. Now you can send money to your love ones from the comfort of your couch or on the go by using Finmark Financials Online Money Transfer service. Whether your recipient lives in Karachi, Lahore, Islamabad, Rawalpindi, Multan, Peshawar, Haripur, Quetta, Muzaffarabad, Faisalabad, Hyderabad, Gujranwala, Sialkot, Mardan, Rahim Yar Khan or any other city with a pick up network of over 1500 locations instant cash can be pick up from anywhere. Quick account deposit in any Pakistani rupee bank accounts thru RTGS and IBFT. Best exchange rates so you always get more money for converting Canadian dollar into Pakistani rupee (PKR). Exchange rate is locked-in on every transaction, now no need to worry about market fluctuation or hidden charges. Use our Money Transfer Calculator to calculate current rate and transfer fees. Beside savings your recipient will not pay any extra charges while receiving payment. Contact us for any questions. Transfer fees on each transaction is as low as $0** and no backhand charges will be deducted on receipt of payment. Whether you do account deposit or instant cash pick up transfer fees remain the same. Now you can pick up Pakistani rupee as cash from any United Bank Limited (UBL) over 1500 branch locations. It will be available for pick up next business day (Monday-Friday except public holidays). Just show your CNIC card along with 16 digits tracking number to collect payment. No need for bank account in UBL. SMS alert to recipient once payment is available for pick up. 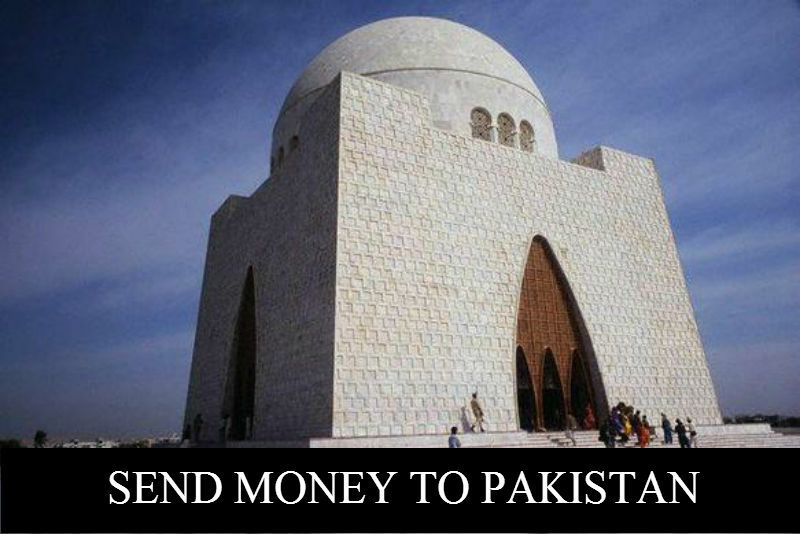 Now deposit Pakistani Rupee (PKR) to any bank account in Pakistan. Just provide us recipient Account Title, Account no. or IBAN (24 digits start from PK), Bank Name, Branch Name and Branch Code. Beside individual's account money can be deposited into Commercial/Business and Charity/Non-proft Organization rupee accounts as well. Now instantly load your UBL Pardes Card. Just provide us 16 digits card number. You can withdraw cash from any UBL and 1-Link ATM across the country. Do shopping wherever VISA cards are accepted. Finmark Financials online money transfer system allow you to send money to your love ones in Pakistan 24/7 from your desktop, smartphone or tablet with just a few clicks, anytime, anywhere. With the same savings you will get while performing transaction at our locations. Make a payment to us using Interac E-transfer, Interac Online or Bill payment.